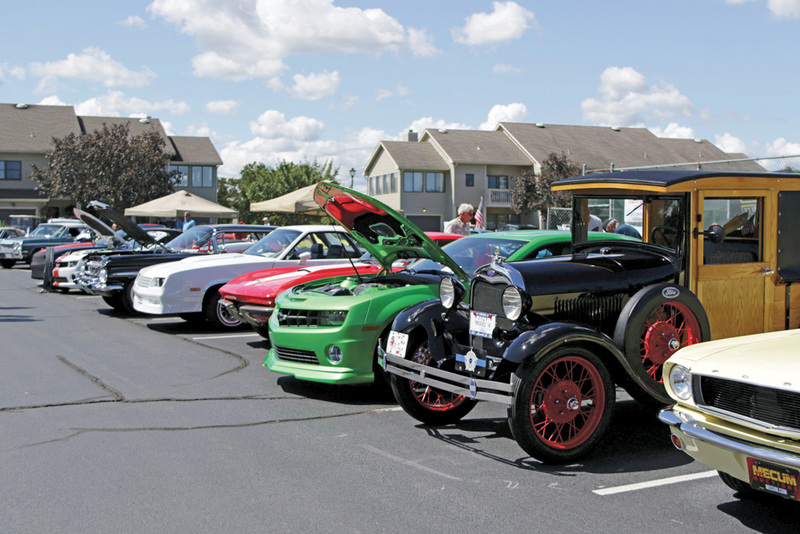 Show cars line the parking lot at Cripple Creek Golf & Country Club during last year’s show. The proceeds from the event will benefit Operation SEAs the Day again this year. Update: The Cripple Creek Car Show, originally scheduled for Sept. 8, has been rescheduled for Sept. 15 due to the rainy weather forecast for Sept. 8. Hidden in barns and garages of Sussex County, classic cars are revving up for the Cripple Creek Car Show, returning on Saturday, Sept. 15. From Italian Autobianchi and British models to American muscle cars and Studebakers, “These are cars that usually grace the covers of magazines, and they’re known throughout the car show world. … And here they are in person,” said organizer Allison Stine. The fifth annual Cripple Creek Car Show is free to spectators and will again benefit Operation SEAs the Day, an all-expenses-paid respite week for injured military personnel and their families. The show is open from 9 a.m. to 1 p.m. for spectators, with registration at 9 a.m. and an award ceremony at 1 p.m. Parking is free, with a complimentary shuttle service. Lunch is available for purchase on the patio. Guests will also see military jeeps from the Fort Miles Historical Association reenactors; the Natural Resources Police honor guard; a big model trail display by the Delaware Seaside Railroad Club; and, organizers hope, some vintage farm equipment. Spectators can also vote for the audience choice award. Moved to tears by the first Operation SEAs the Day parade, Stine volunteered her real estate company to sponsor a car-show fundraiser. “[Other] soldiers came back to warm welcomes, heroes’ parades, hometown heroes, where these veterans didn’t come home that way because they were injured. … A lot of them came home on stretchers, and they never got to experience that kind of welcome and reception,” Stine said. Operation SEAs the Day will provide transportation to the event to its visiting families. A self-proclaimed “car nut,” Stine has organized other charity car shows and car clubs, and she said Cripple Creek is an “absolutely stunning venue,” and the show has gotten better every year. The whole event is run by volunteers. “All these scores of residents and club members, too many to mention… It’s just a really amazing group,” Stine said. Registration costs $15 for participants (lunch is included) and will open at 9 a.m. on Saturday. Applicants can download a form online, or just fill it out day-of. Cripple Creek Golf & Country Club is located at 29494 Cripple Creek Drive, Dagsboro. Details are online at www.cripplecreekcarshow.com.